Chinese military officials have deployed a highly accurate laser defense system capable of shooting down small drones flying at a low altitude, Chinese state media is reporting. The technology is expected to be utilized to eliminate unidentified drones flying over urban areas that are feared to be controlled by terrorists or conducting unlicensed surveillance activity. According to the International Business Times, the laser defense system, can destroy drones and other small aircraft flying within a 1.2-mile radius within five seconds of locating the target, according to the official Xinhua news agency. The machine’s development apparently comes amid growing concern regarding the nefarious use of unmanned aerial vehicles. Drone aircraft is inexpensive and easier to use than more established weapons, raising worries that terrorists will use drones against crowds or buildings. 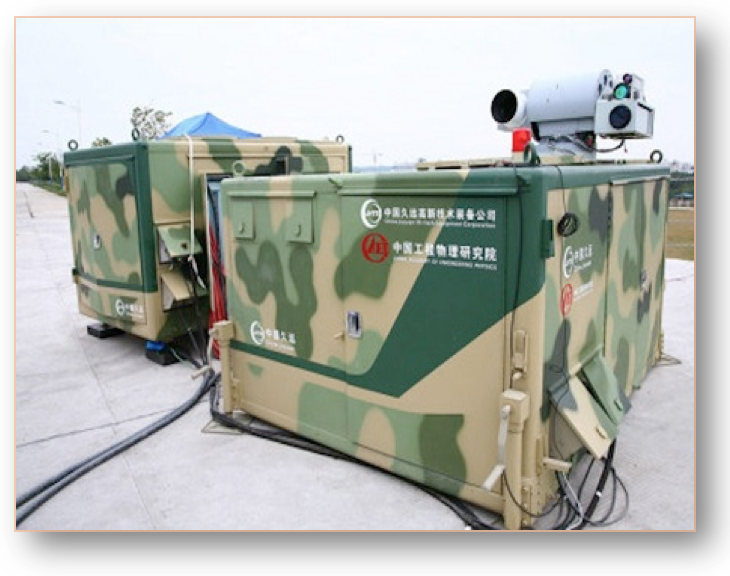 The anti-drone laser system can either be installed or transported in vehicles and had a 100 percent success rate in a trial against 30 drones, Xinhua reported.